When you make the decision to re-roof, it’s easy to get caught up in the exciting and obvious stuff – how it’s going to make your home look fresh, fantastic and increase its overall value. Pouring over colour and profile charts and imagining how it’s going to look is a natural and important consideration in the re-roofing process. But what is equally, if not more important, is how it functions. How you choose to re-roof your home now will influence how your roof performs now and down the track, and how safe and healthy it will keep your home environment. Your new roof should not only look great, it should also function impressively – saving you money in the long run and increasing the long-term value of your home. 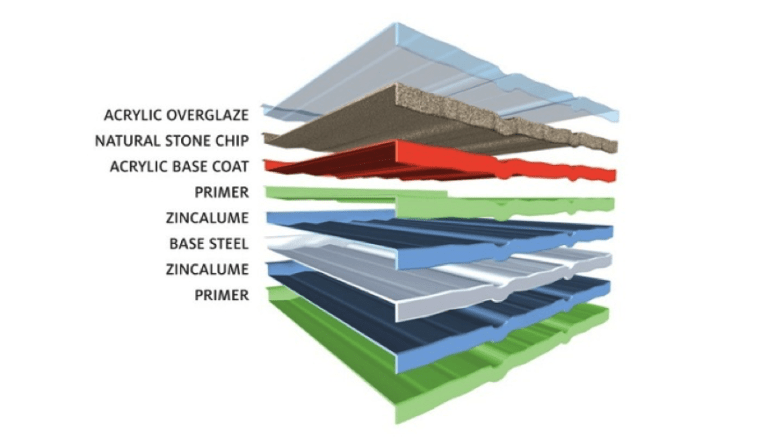 What makes goes into making an efficient roof? The steel in our roofs is made from 100% NZ black ironsand, so you’re guaranteed the highest quality. This unique and valuable product is known as the purest form of steel in the world. Once refined, this pure resource provides the superior base components for Metrotile panels. The stone coating on all of our textured roofing is made up of natural stone granules. These have been formed over millions of years, then ceramic coated and fired to ensure maximum durability. This finish means they withstand even the harshest climates, and will retain their pigment and colour intensity for the lifetime of the roof. Metrotile remains a pioneer in product innovation, research and development, which has led to our advanced manufacturing processes. Our panels are first pressed and cut into sizes from premium coils of NZ steel, and then manufactured into uniform panels during our signature eight-layer process. This process includes the application of Zincalume based steel on both sides, priming on both sides, acrylic base coat, natural stone granules, and finally, a pure acrylic over-glaze before being baked and hardened. The result is one of the most durable and reliable roofing systems on the market. Metrotile panels are made with a signature eight-layer process. Re-roofing with a Metrotile metal roof will save you money. As a metal roof is much lighter than traditional concrete or clay tiles it doesn’t need the structural support that these heavy traditional roofs do. So, the framing with Metrotile will be lighter, be easier to handle, and cost less. Metrotile metal roofs are easy and quick to install. Our interlocking and modular roofing system is much easier to handle than other roofing materials meaning the roof can be safely and quickly installed in all weather conditions, and less money spent on installation time. All our products (tiles and flashings) arrive at site in one delivery of approximately 2m³ per 250m² roof. This makes a Metrotile roof the most cost-effective roof to transport to your home. Once your roof is installed the need for maintenance is minimal and the maintenance itself is easy. Combine this with the lasting durability of a Metrotile roof and you have one low-cost, reliable roof! A new quality roof that will last the test of time will add value to your home – particularly when it comes time to sell. There’s no question that re-roofing your home can offer a great return on your investment as a new roof made with modern materials will give you a much higher warranty when compared to older materials. Metrotile offer an impressive warranty of 25 years plus 25 years pro rata - we are that confident in our product. A new roof will also bring energy savings. As a new roof offers better energy efficiency, you’ll notice the need to heat and cool your home should be reduced. This is yet another reason to re-roof with Metrotile and have confidence that this is a long-term investment that will only add value to your home now and in the future. 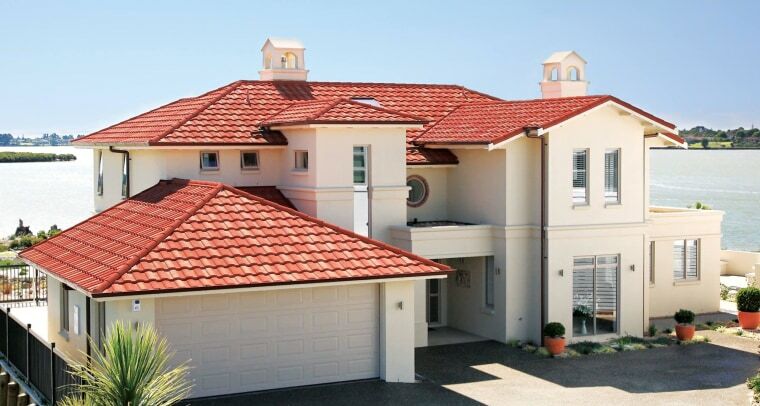 As a general rule, installing a new roof will increase the value of your property, and installing a high-quality Metrotile roof that not only looks great but has superior performance, is the best roofing investment of all. Re-roofing is the perfect opportunity to make a lasting investment in your property. For more information, visit Metrotile.